Going abroad to have treatment for addiction to alcohol and drugs is a growing sector of the medical treatment abroad industry. By travelling abroad for this type of treatment you can expect a high standard of care from qualified staff usually at a lower cost than staying at treatment centres in the UK. Britain has seen a significant rise in the number of people who suffer from some form of addiction to drugs and alcohol. Many patients who need this type of treatment will benefit from a change in environment to help cope with the process of detoxification and counselling.There is also a higher degree of privacy available in obtaining addiction treatment abroad. Although most addiction treatment centres in Britain will have a level of confidentiality, going abroad may give added peace of mind to the person seeking treatment. Treatments will vary from clinic to clinic and from country to country, but nearly all clinics will have a few set procedures that have been tried, tested and are known to give the best results. On arrival at your chosen addiction clinic you can expect first class facilities in a relaxing and friendly atmosphere. The first part of your treatment will be an assessment of your condition to decide on the best course of treatment for your individual case. Facilities will vary from clinic to clinic but will usually include your own private room, 24 hour on call nurse, fitness instructor, qualified psychologist, therapists, and on call counselling services. There will be excursions and activities arranged that will be specifically tailored to your personal taste. There will usually be a private chef for the facility who will prepare all the patient’s meals. The staff you come in contact with during your stay will be qualified to the highest standard. Many of the staff at clinics abroad will be English speaking; many have actually trained and qualified in Britain. The usual stay when treating addiction abroad is around one to two weeks for a detoxification programme. If you are staying as an in-house patient for counselling then the treatment can last longer. Addiction professionals know that this type of illness is a mental problem as well as a physical one, and the process of breaking the addiction is an ongoing one. This should also be followed up with after care treatment when back in the UK. Once back home, a large amount of support will be needed from loved ones and professionals trained in this field. One of the best ways to find addiction treatment abroad is through a medical service provider. There are many reputable companies who provide this service, and some of the best advertise on the internet. Your own doctor will also be able to give advice if you are planning to go abroad for treatment. Make sure you ask plenty of questions beforehand regarding qualifications and the types of treatments provided. 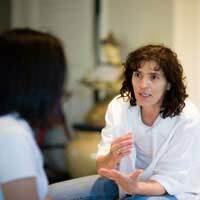 You may feel more comfortable taking part in one to one therapy sessions rather than group counselling, and you should check that the clinic you use provides this. Also remember that although addiction abroad can be less expensive than treatment in the UK, flying time and flights should be factored into the cost. Choosing a country in the EU will cut down on flying time and flights costs when compared to flying to clinics in South Africa and India. Weighing up the benefits when considering addiction treatment abroad, should not take too much thought. Low costs, high standards of professionalism, and a relaxing, friendly atmosphere should all aid the process of withdrawal and the treatment of addiction.